After months of waiting the Plan has finally been published and launched by the Prime Minister. So ….. has the wait been worth it? Of course this is just a plan BUT if it is delivered an awful lot to do with the environment will change for the better. There will of course be those who say it doesn’t go far enough here and opportunities have been missed there – they will probably be right too. BUT, my goodness who would have thought a plan such as this would have been published during the Paterson or Leadsom eras? I’m not going to systematically review the document I’m just going to pull out a few bits and pieces that caught my attention and made me smile. 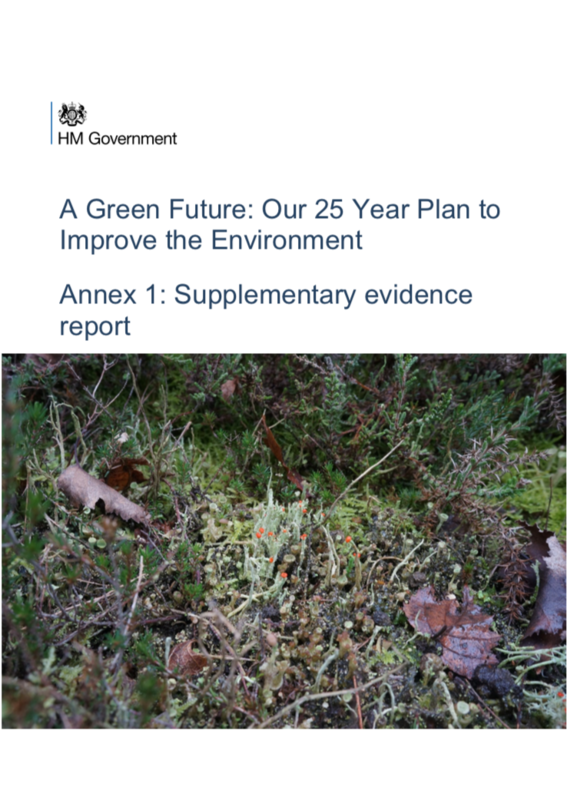 To start with I wonder whether the cover of the report contains a Defra joke? This is Mam Tor in the Peak District with the sun rising in the background (at least I assume it is rising). It is owned by the National Trust who are developing plans to encourage hen harriers and peregrines back into the area. A new dawn is breaking …. hang on …. that was somebody else. We will support farmers to turn over fields to meadows rich in herbs and wildflowers, plant more trees, restore habitats for endangered species, recover soil fertility and attract wildlife back. We will ensure broader landscapes are transformed by connecting habitats into larger corridors for wildlife, as recommended by Sir John Lawton in his official review. In the main report we are told again that subsidies are on the way out. £3.2bn is spent in the UK under the CAP. £2.59bn of this is spent under ‘Pillar 1’ – the ‘basic payment scheme’ (BPS). This pays farmers according to the amount of land they own, rather than the outcomes they achieve. It concentrates money in the hands of those who already have significant private wealth, without improving environmental outcomes. And that the ‘greening’ measures have failed and that only a fraction of the money has been spent on things that make a difference. There have been efforts to improve this by ‘greening’ one third of BPS payments – but scholars have recently found these to be largely ineffective. Just £0.64bn – 20% of the total – is spent on environmental stewardship programmes under ‘Pillar 2’. The principle public good ….. that is progress!! After a period of stability to ensure a smooth transition, we will move to a system of paying farmers public money for public goods. The principal public good we want to invest in is environmental enhancement. OK nothing specifically about uplands, hill-farmers or Commons but Gove covered them in his OFC speech last week – see here. These topics will be specially covered in the Agriculture Command paper due in the Spring and all will be well! Hill-farmers will be supported and the uplands will be restored. We will introduce a new environmental land management system to deliver this. It will incentivise and reward land managers to restore and improve our natural capital and rural heritage. It will also provide support for farmers and land managers as we move towards a more effective application of the ‘polluter pays’ principle (whereby for costs of pollution lie with those responsible for it). Here is the strong influence on Government that the Natural Capital Committee has had. Before the NCC ‘externalities’ were just jargon from economists but now it looks like we will all be using the word to reduce pollution. Farming can be a powerful force for environmental enhancement but it currently generates too many externalities such as emissions from livestock and pollution from fertilisers and pesticides. Overall, farming is now the most significant source of water pollution and of ammonia emissions into the atmosphere in the UK. It accounts for 25% phosphate, 50% nitrate and 75% sediment loadings in the water environment, which harms ecosystems. Finally a clear and not tacit admission that atmospheric pollution harms soils and alters vegetation. By ensuring fertilisers are used efficiently, we can cut the air and water pollution that harms public health and the environment, and reduce greenhouse gas emissions. Poor storage of manure and slurry can lead to the release of harmful chemicals and gases such as ammonia (in 2015, more than four-fifths of ammonia emissions in the UK stemmed from agriculture). This can cause acid rain, combine with pollution from traffic and industry to form smog, and harm soils and vegetation. A clear indication that peat bogs will be conserved and managed better in the future. Our peat bogs and fens are important habitats that provide food and shelter for wildlife, help with flood management, improve water quality and play a part in climate regulation. Most peat soils support ecosystems that are sensitive to human activities including drainage, grazing, liming and afforestation. This makes them susceptible to degradation if poorly managed. If I were still working at Wicken Fen on the National Trust’s Vision or the Wildlife Trust’s Great Fen project I would be very excited about this – opportunities, opportunities, opportunities. Over the last 200 years, we have lost 84% of our fertile peat topsoil in East Anglia. The fens there could lose the remainder in just 30-60 years given current land management practices and a changing climate. In view of this, we intend to create and deliver a new ambitious framework for peat restoration in England. Five years ago commissioning a review into National Parks would have been a recipe for their further emasculation – this can only mean they are going to be strengthened and properly funded! Who to chair the review? Dame Fiona Reynolds would be a good choice in my view. Now, 70 years on, the Government will commission a review for the 21st Century. This will consider coverage of designations, how designated areas deliver their responsibilities, how designated areas are financed, and whether there is scope for expansion. 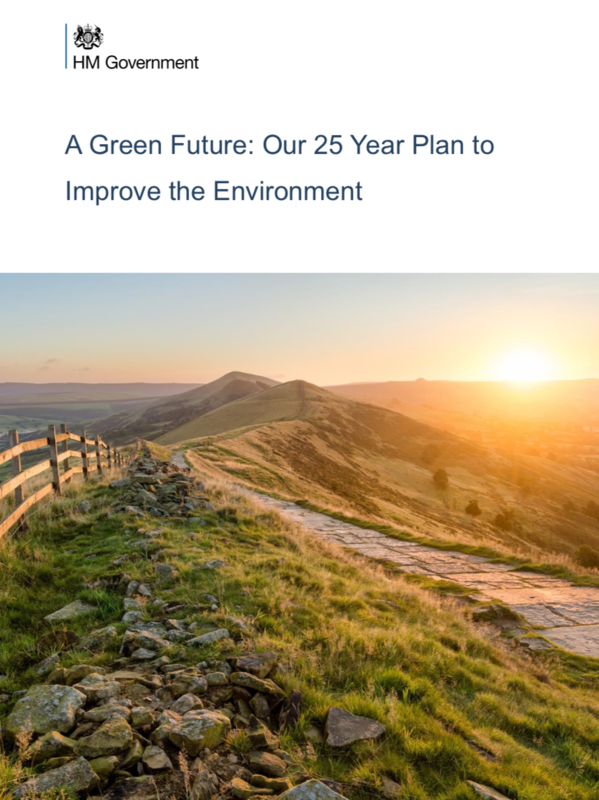 It will also consider opportunities to enhance the environment in existing designations, and expand on the existing eight-point plan for National Parks to connect more people with the natural environment. To my eyes much of this plan looks excellent, of course it will only be effective if things happen – that is the next stage. There is also an annex which was published alongside the main report – this is also very good – it is full of useful data with url links to the sources. You can download the annex here. I can’t see the Defra joke though in this image – can you? 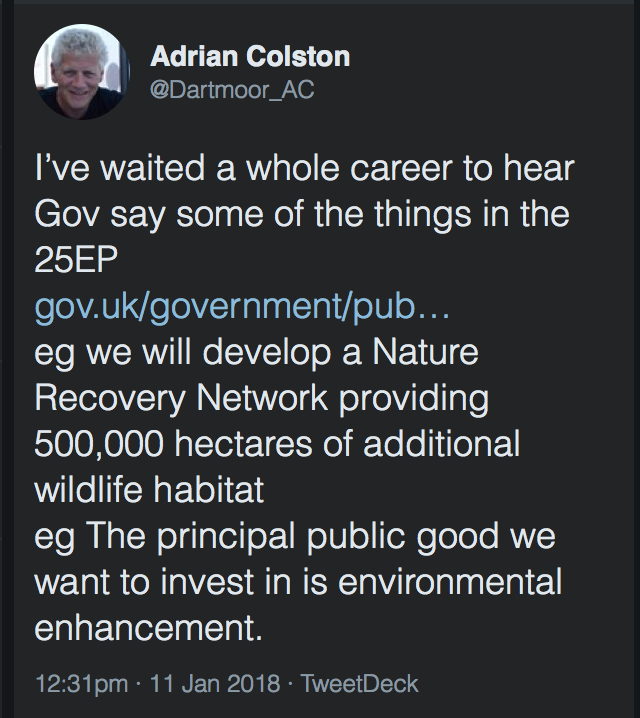 This entry was posted in Atmospheric pollution, Dartmoor, Dartmoor Farming, Dartmoor wildlife, Uncategorized and tagged 25 year Environment Plan, DEFRA, Michael Gove, Public Money for Public Goods. Bookmark the permalink.